Sorry for the long absence. I had spring break and midterms before that. Next up are the Columbus Rivermen. 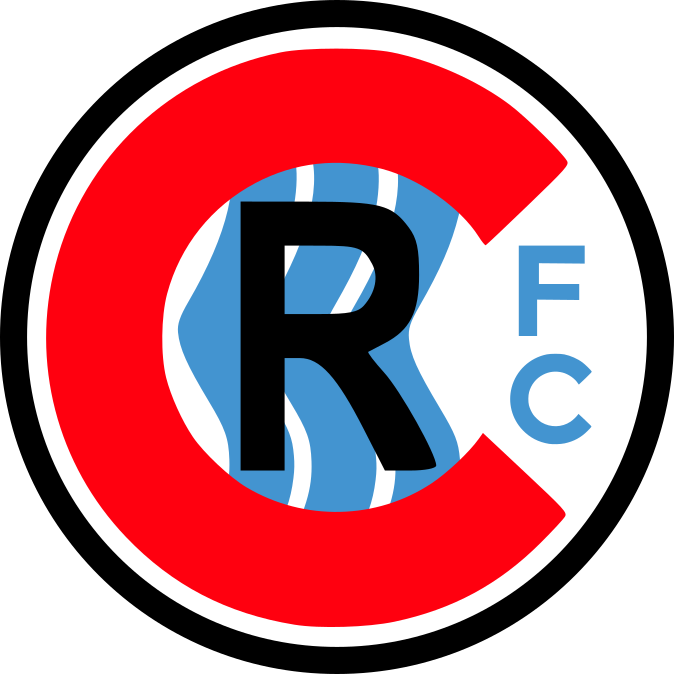 Logo is a circle featuring the letters CRFC. Under the R are 3 waves signifying the Chattahoochee river, which runs through Columbus and creates the border between Georgia and Alabama. 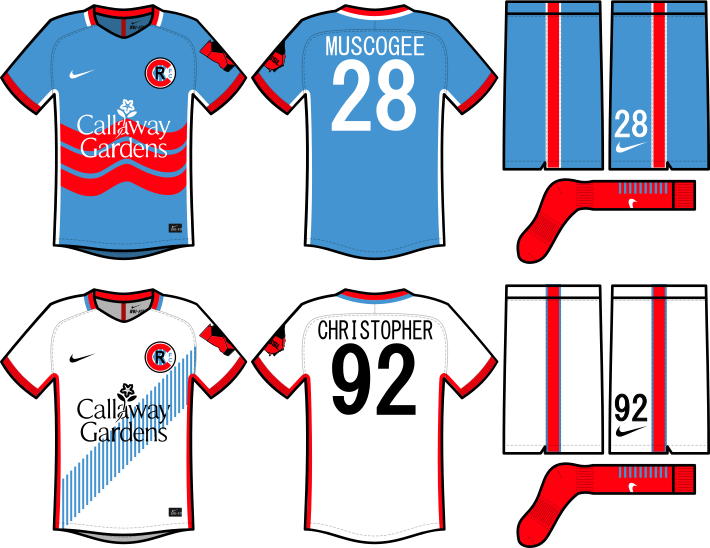 Primary kit is light blue and features the waves from the logo. Secondary kit has a light blue dashed sash. Hope you guys like it. This is definitely one of my favorites in the whole series. Kinda hard to read the brand name on the home kit, but good.